For more stories on car-free getaways head to offMetro.com. 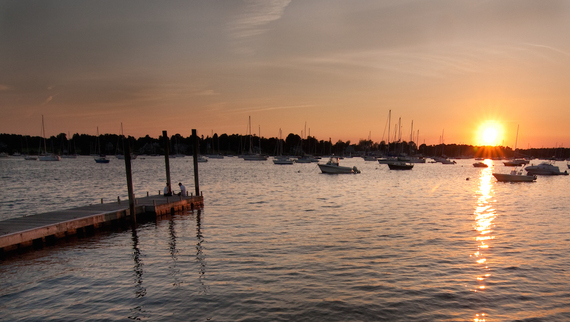 Bristol, Rhode Island is a New England town that is made for car-free coastal exploration. It is situated on the tip of the East Bay Bike Path, so cyclists can enjoy pastoral seascapes as they pedal all the way to Providence. This Mayberry-by-the-Sea exudes Americana and has everything those seeking a refined respite from the concrete of the big city are craving. Nautical beauty, gardens, history, art, great dining and welcoming locals make it a fine, easy-to-reach weekend escape. 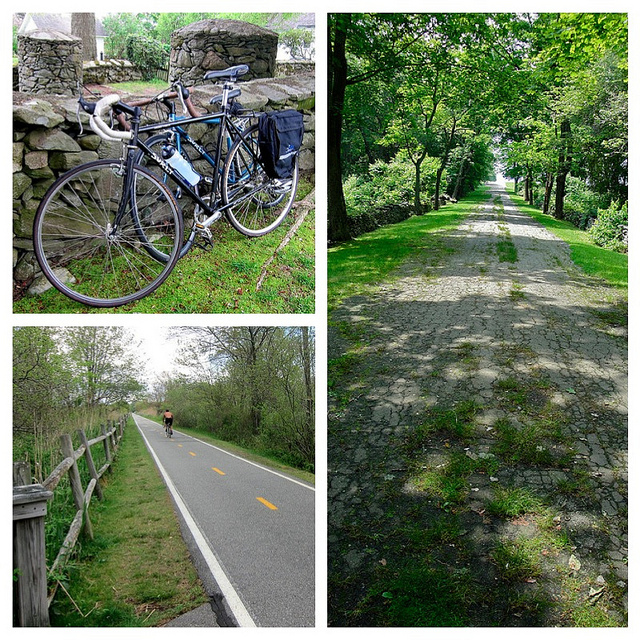 Bring your bike to Providence and you can pedal the 14.5-mile East Bay Bike Path to Bristol. Alternately, hop on the Bristol-bound RIPTA bus and rent a bike at Thames Street Landing, next to the Bristol Harbor Inn. The bike path is a former rail corridor, so it is flat except near Providence, where a few hills will require modest expenditure of energy. Bristol's section of the path meanders through the plush meadows of Colt State Park, where you'll view some of the areas best clam digging spots. Bristol Town Beach is located here, so don't forget to bring your bathing suit to test the calm waters. You'll bike through the Audubon Society of Rhode Island's pristine 28-acre wildlife refuge, where the trail winds by fresh and saltwater marshes, culminating with majestic views of the Narragansett Bay. If you're itching to get out to sea, hang out at the yacht club and see if you're bold enough to hitch a ride with a friendly local captain on one of the hundreds of sailboats that are clustered in the harbor. You can bring your bike on the ferry to rustic Prudence Island. The journey only takes 25 minutes, but this summer colony has a remote quality, and seems miles away from the 21st Century. Alternatively, content yourself with the power of the paddle and rent a kayak at Thames Street Landing. 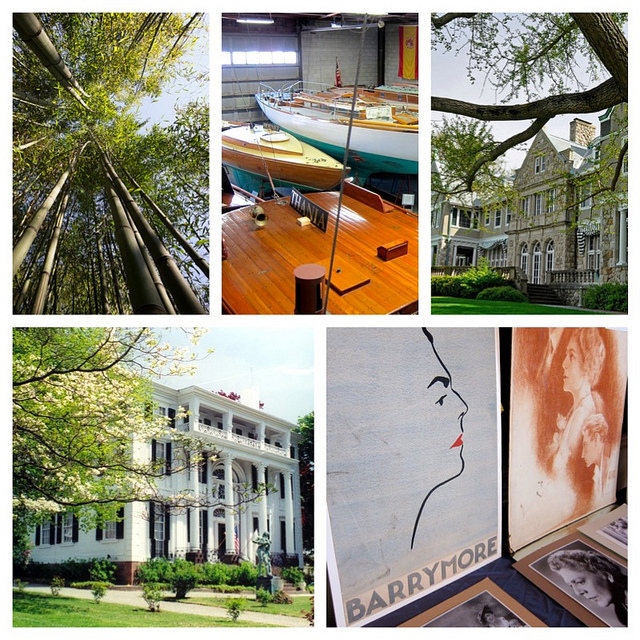 A visit to the Herreshoff Marine Museum and America's Cup Hall of Fame is on every sailing enthusiasts bucket list. It is a shrine to yacht racing and is located on the site where eight consecutive America's Cup defenders were built. The museum houses dozens of sailing yachts, some that you can climb aboard. Linden Place Museum is an 1810 Federal-style mansion with a stunning spiral staircase and a Hollywood twist. Stage and screen star Ethel Barrymore summered here, and this historic house displays lots of her movie memorabilia. Scenes from the 1974 version of "The Great Gatsby" were shot here, with the exterior used as Daisy Buchanan's parents home. Rent it on Netflix and judge for yourself who makes a better Gatsby, Robert Redford or Leonardo DiCaprio. Blithewold Mansion, Gardens and Arboretum is located just outside of downtown. The 45-room mansion was once a golden age summer home and touring it provides a fascinating window into how wealthy industrialists once lived. Blithewold is now thankfully shared with the general public who can be heard audibly gasping when they behold the unobstructed bay views. The 33-acres of gardens and lawns are immaculately curated. There is a full program of outdoor concerts in summer, with everyone encouraged to bring a picnic and enjoy the live music en plein air. If you're more suited to active pursuits, try a morning yoga class in the shady Nut Grove. Diminutive Bristol gives Rhode Island culinary big shots Providence and Newport a run for the money. 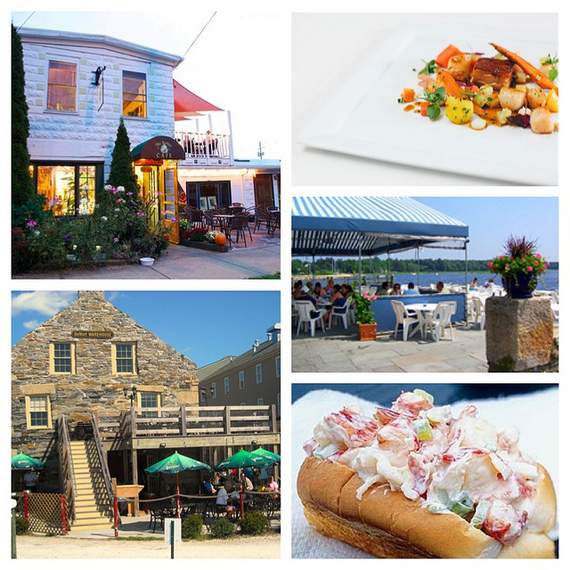 The town is loaded with restaurants, from those serving menus with subtle finesse to classic clam bars. Persimmon is an intimate dining room with an ambitious American menu. Chef is a three-time James Beard Award semifinalist, which will not surprise you when you take your first bite. The Lobster Pot has been family owned for generations. Locals gather for sunset cocktails on the outdoor patio, as this portside location is known to have the best viewpoint in town. The menu features delectable lobster, clams, mussels and oysters, a culinary redundancy of the best sort. Desserts don't disappoint with no-nonsense traditional favorites like cheesecake, Indian pudding and fruit cobblers. DeWolf Tavern is located in a traditional stone building at the harbor. The menu is casual American with a fragrant Indian infusion, a nod to the Chef's heritage. Think sandwiches filled with tandoori roasted chicken served on warm naan bread. Quito's is a local institution. It's a casual fish shack serving clam cakes and lobster rolls to a devoted clientele. The waterfront setting screams summer. Breakfast is a no-brainer when you have an eatery like the Beehive Café in town. If you are a practitioner of caffeine tourism, the freshly brewed fair-trade coffee alone is worth the trip. Home-baked muffins, breads and scones are perfect for a grab-and-go bite. Or try a more leisurely meal on the terrace and savor gluten-free lemon cornmeal pancakes. The menu relies on products sourced from local farms and is 100% seasonal. Shoppers strolling the compact downtown are treated to an eclectic mix of architecture that include some detail-rich Federal and Greek revival homes. Shops are mostly independently owned. If you're looking for beach chic accessories, Therapy carries a small but nearly perfect collection of breezy summer togs. 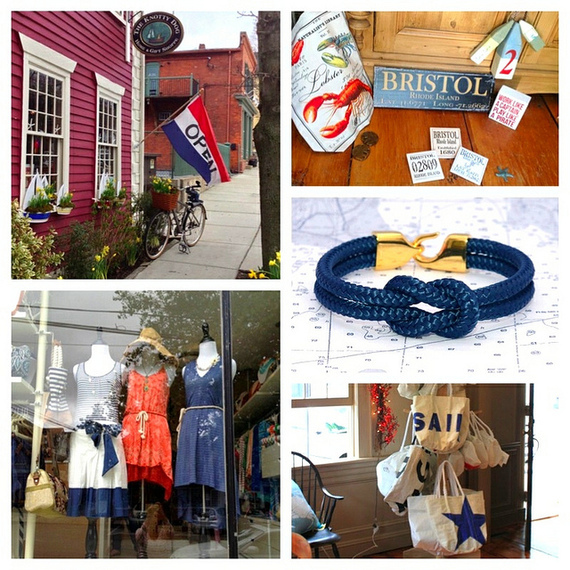 Nautical-inspired housewares fill the shelves at the Knotty Dog, many made from reclaimed materials. Harbor Bath & Body carries house-made soaps, lotions and potions that come in flavors so delicious, you might think you're at a candy counter. Artistic sides shine in Bristol and neighboring Warren on the last Thursday of the month at Art Nights from 5-9 p.m. Local galleries and studios are open and welcome visitors of all ages. Music and art-inspired conversation fill the towns with a festive flavor. A free retro-style trolley transports guests between the two towns. Shops and eateries are open late, offering special incentives. Bristol boasts the oldest Fourth of July celebration in the United States, held continuously since 1785. In a year-round display of patriotism, the main road through town is permanently painted with red, white and blue traffic lines. The annual event is a scene straight out of a Norman Rockwell painting. Concerts, parades and fireworks are scheduled. Arrive early morning for the parade and expect a festive crowd. Bristol Harbor Inn is a boutique property offering 40 comfortable rooms that enjoy a prime location in the heart of the village. 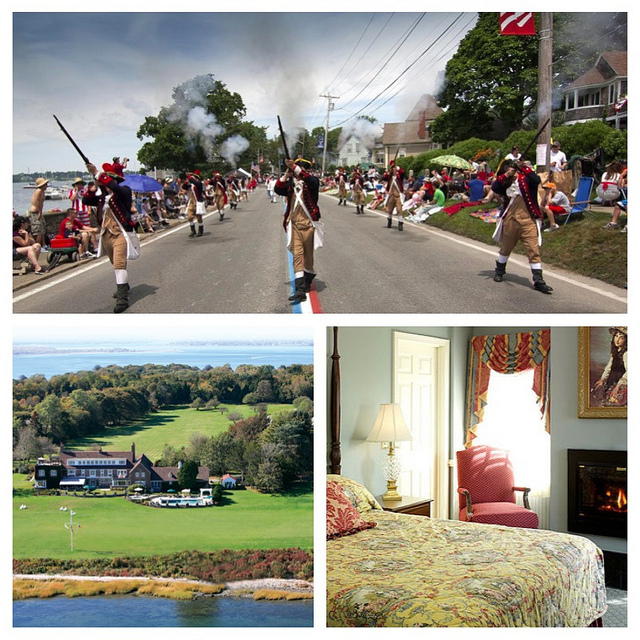 If you are looking for a splurge, Point Pleasant Inn is perfect. Guests are spoiled with understated luxury including an open bar, decadent breakfast and over-the-top swimming pool. The six suite-style rooms and waterfront grounds are stunning, the service impeccable. You'll need to ride your bike a few minutes to get into town, if you are able to drag yourself away from all the pampering. How to get here: See oM's Providence Transportation Guide. Bristol is located a speedy 30 minute ride on the RIPTA number 60 bus from Providence, and it stops right at the Megabus drop-off. If you're riding Amtrak into town, it is about a seven-minute walk to the bus stop. For helpful trip planning information, visit Explore Bristol. If you'd like to drive and explore beyond Bristol, consult oM's guide to renting Hybrids in NYC.